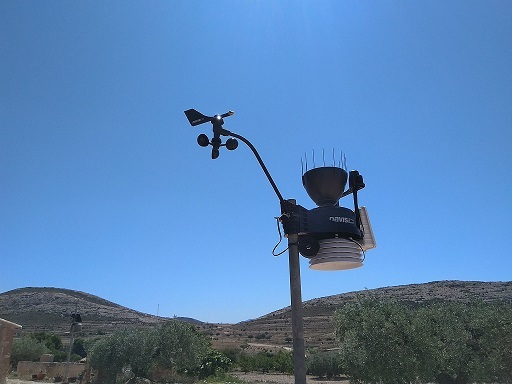 Live Costa Blanca Weather is a private weather station situated at an altitude of 3m, in Dolores, near Alicante, on Spain's sunny Costa Blanca. It started as a hobby, for our own entertainment, with a Fine Offset station which has been improved considerably from it's original guise. 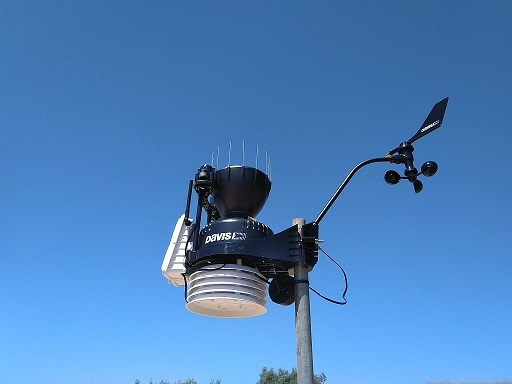 Significant improvements include a FARS (a larger radiation shield with a solar powered fan), to provide accurate temperature readings and a deeper rain collector that prevents heavy rain from 'splashing out' and giving a lower than actual reading. The data is collected, stored and uploaded via Cumulus software. We upload data to Weather Underground, Met Office WOW, the PWS network, EU Weather, Red del Tiempo - Peninsula Iberica and of course, this site. The gauges on the main page are live actual readings. From the Live Weather page, past data, record highs and lows and a variety of other data collected by our station can be accessed. Solar and UV Information. The main purpose of the solar radiation gauge, is to record bright sunshine hours, determined by reaching a percentage of the theoretical maximum possible at any particular time. It is possible to record above the theoretical maximum, due to cloud effect (reflection). If the yellow led is on, the sun is shining. The same applies with UV (which has nothing to to with temperature), the daily forecasts are for clear skies and again, cloud effect (reflection) can give higher UV levels than predicted.